My goal for our boarding facility is to have a place for your dog that is safe, fun, and as stress-free as possible. We have a heated building where each dog has their own 3'x6' space to sleep, rest, and eat. There is plenty of room for their bed or blanket, toys, etc. Whatever makes them feel comfortable. We also have Kuranda elevated dog beds ( like a cot ), if they like. 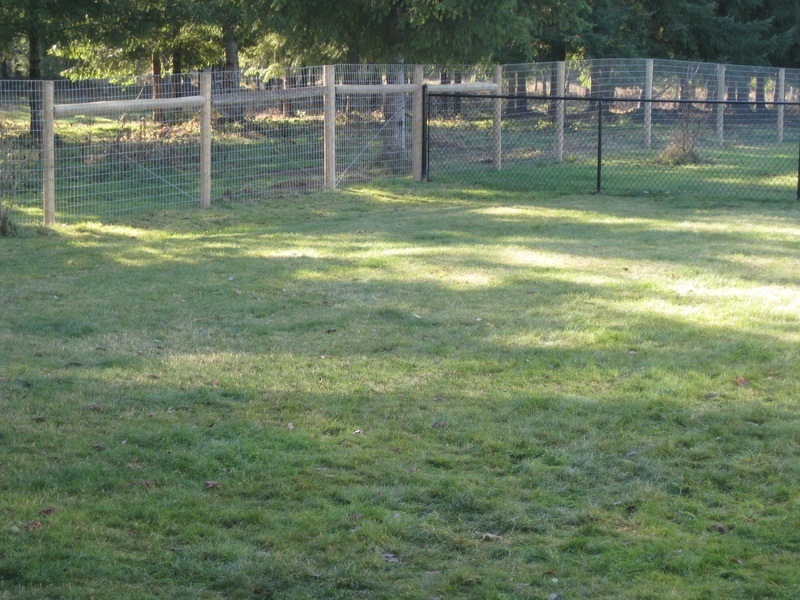 We have a large, fenced play yard, where all the dogs get to spend plenty of time each day, and a separate yard for the small dogs. 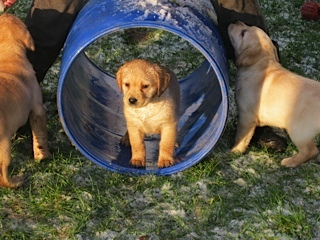 Dogs can play in compatible groups- always supervised, or they can go outside alone if they prefer. No extra charge for walks, or exercise ! If your dog likes to go to the dog park, they will love it here ! We love to provide specialized care for each dog, we are happy to accommodate special diets, medications, or medical treatments such as fluids, injections, etc if needed. There will be an extra charge for extensive medication needs. Current vaccinations (DHPP, Rabies, and Bordetella) are required, as is flea control. We also recommend Lepto vaccines. We can provide vaccines if your dog is not up to date, however for them to be protected they need to get the vaccines at least 2 weeks prior to going to a kennel. Dogs MUST be on a monthly flea control, and one that works. There are many out there that do not, so please ask. We recommend that you bring your dogs regular food, and any treats or supplements that they regularly get. Also bedding and toys if you want to. Please bring food in a plastic container, or ziploc bags. No dishes or leashes please. RATES : Rates are $20 per night for one dog, $35 per night for two dogs, ( same owner ). $ 10 per night for cats. ( We are able to board cats occasionally too ) I do offer a discount for long stays - over 30 days. Please call to discuss. These are our regular hours, other things can sometimes be arranged. Please feel free to call if you have any questions, or would like to discuss details about your pet, or set up an appointment to visit or to board ! Below: Jack, Yogi & Drake enjoying the 4th of July!